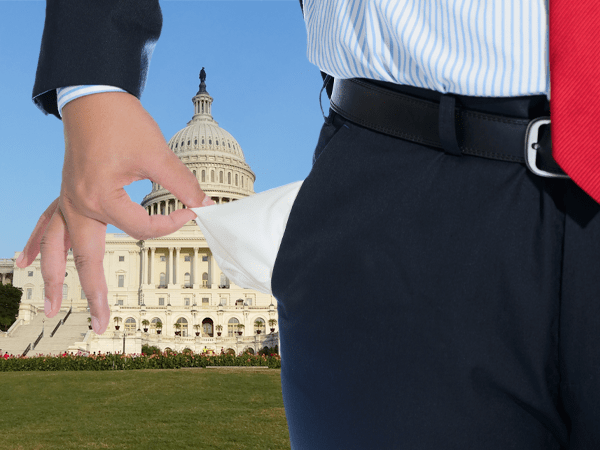 The temporarily-ended government shutdown didn’t have had a large effect on the U.S. economy, but it may have revealed something disturbing about the savings of 80% of Americans. They aren’t prepared if the economy get worse. And the problem is terrifyingly pervasive. 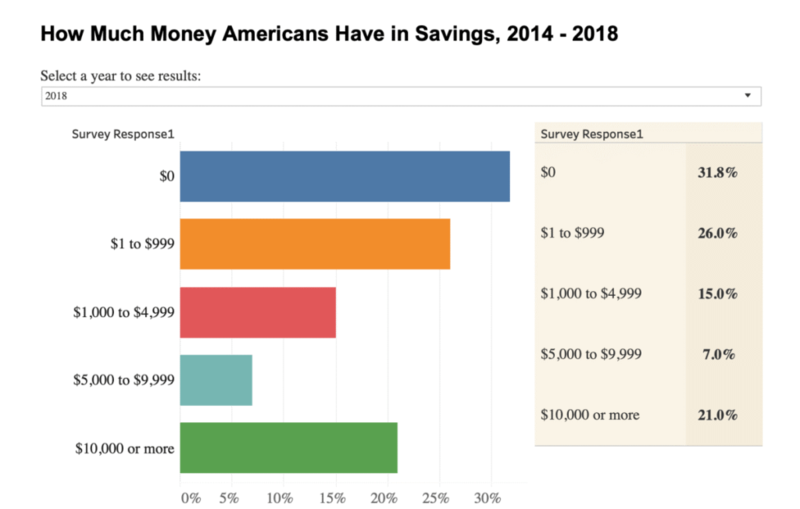 According to a recent GoBankingRates survey, only 21% of Americans have more than $10,000 in savings, with nearly 60% having less than $1,000 in savings. With interest rates on the rise and the economy at levels of uncertainty not seen since 2008, it’s crucial for Americans to buffer their income with some sort of hedge. Without reliable “go-to” savings and a plan, there could be tough times ahead if the market continues diving into recession. But the nasty truth appears to be most Americans don’t have enough savings, if any at all, to get them through the tough times. And the shutdown isn’t only affecting individuals. It even drew the attention of top CEOs. The distinct feeling conveyed in Gorman’s remarks is in his choice of the word “resolved.” A temporary three-week solution is not going to cut it. Marriott International CEO Arne Sorenson said the shutdown is hurting his hotels in the D.C. area. The company’s 150 or so hotels in the Washington, D.C., metro area have seen business drop double digits since the shutdown. In an earnings call with analysts this morning, Southwest Airlines CEO Gary Kelly, called the shutdown “maddening.” The company estimates it’s lost $10 to $15 million in revenue this January as a result of the shutdown. So it appears the shutdown weighed down U.S economic growth, and impacted revenue for major corporations. Not good. And after February 15, more corporations and Americans with little savings may see another “helping” of this shutdown whether they like it or not. Another government shutdown in the near future is highly possible. It’s time to start thinking about how the markets will respond to the uncertainty going forward. Future shutdowns can destabilize your retirement savings, especially if you don’t have savings or a plan. One way that many Americans have safeguarded their financial future is by diversifying their retirement portfolios into physical gold and silver. Traditionally, these assets perform well in uncertain markets and can be considered as part of any diversification plan.